Overburden and unconsolidated formations have always presented drillers with both very expensive and time-consuming challenges when drilling through cobbles, boulders, heaving sands, fractured sedimentary sandstone/shales and gravel formations containing large amounts of water. However, what used to take days or even weeks to get the casing installed and hole completed can now be performed in one easy operation, and in a fraction of the time. Unlike conventional top drive, air rotary drill rigs, the Foremost Dual Rotary (DR) rig is equipped with two rotary drives. 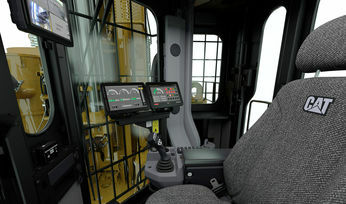 A hydraulic top drive, which comes complete with a hydraulic tilt-out feature for safe and efficient handling of the drill rods and casing, rotates the conventional drill string or reverse circulation string that can be tooled with a down-the-hole hammer, drag bit, PDC or rolling cone bit. The primary and distinguishing feature on a dual rotary rig is the independent lower rotary drive used to advance steel casing through unconsolidated overburden. A heavy-duty carbide studded casing shoe with cutting edge 1in (25mm) larger than the casing outside diameter is welded to the end of the first joint of casing, which allows the casing string to cut through the overburden. The rotation of the casing by the lower drive provides borehole stability and minimises stress on the casing welds. The key to success in difficult formations is having the capability to rotate and advance or pullback casing simultaneously. The casing is not hammered or piled but is drilled through the formation. 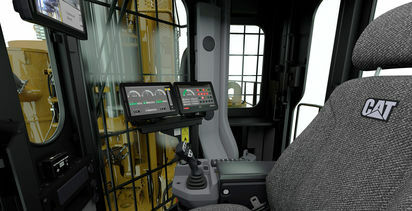 The top drive mounted within a carriage assembly is connected to a single hydraulic feed cylinder located within the mast structure. The lower drive mounting brackets are connected to two separate hydraulic feed cylinders mounted on each side of the mast tubes and have an independent feed stroke of 12ft (3.66m). Installing each of the drives on separate independent feed cylinders allows the drill string and bit position to vary relative to the bottom of the casing. In most cases, the drill bit is advanced flush with or slightly ahead of the casing for the best penetration rates. However, the casing can be advanced ahead of the drill bit to minimise aquifer cross contamination, prevent loss of circulation, and eliminate borehole stability problems associated with artesian conditions. Once the casing has been drilled to the required depth or set into solid rock, the DR rig can continue to drill open hole in the same manner as a conventional top drive air or mud rotary drill without tripping out the drill string to change the bit. With its powerful torque, the lower drive is equally effective at extracting casing and exposing well screens. Key benefits of casing rotation are drilling a straight hole, reduced friction on the casing, reduced stress on casing welds and increased casing depths. In lieu of welding, flush joint threaded casing can be used with the DR for drilling wellbores generally 12in diameter and smaller for more repetitive applications such as sampling, monitoring and geothermal wells. As per the conventional air rotary drill, high-pressure air is delivered to the bit face through the drill string. The drill cuttings are forced to the surface through the annular area between the outside diameter of the drill rod and the internal diameter of the casing. A casing discharge swivel mounted to the top casing joint diverts the cuttings via a discharge hose to a cyclone and or collection system. This method of containment can be critical for applications such as continuous sampling for exploration projects, environmental monitor wells, soil sampling and environmentally sensitive areas. While it was originally developed as a water well rig, the DR drill has evolved to the point where it is routinely used in a variety of applications. Foremost's DR24 / DR24HD rigs have been used to drill large diameter industrial and municipal wells to depths of 1,000 - 2,500ft (304 - 762m) by telescoping the casing method to achieve the required casing depth. As a result of this evolution, Foremost has now introduced the DR24XHD with Angle Mast and 130,000lb pullback. The DR24HD has been one of the most utilised rigs for de-watering wells at many of the mines in North America, South America, Africa, and Australia the past few years. Since the introduction of the heavy-duty HD lower drive, drillers have been able to achieve greater depths with larger casing diameters than was previously established with the standard lower drive. Typical domestic wells range from 6 - 8in diameter (DR12) and depths of 100ft (30m) through 1,000ft (304m) For contractors using the DR method, the predictability of penetration in known formations translates into accurate project cost estimates, which provides a distinct advantage when responding to competitive bid tenders. The casing rotation methodology has proven to penetrate where other casing systems, pile hammers and augers have failed, which is especially important for bridge supports and foundation piles that must be drilled beyond the overburden and seated into bedrock. The technology allows the hole to be drilled and cased through large boulders and fractures without significant bending or deflection. Through rotation and pull-down pressure applied to the casing using the lower drive assembly, the steel casing can be seated into bedrock without disturbing or contaminating the surrounding formation. The drill string can then advance to create a deep rock socket. The DR method is also being used by drilling contractors in Western Canada and North-eastern USA to install conductor and surface casing for oil and gas wells. A 20 - 24in (500 - 600mm) conductor casing is drilled 30 - 60ft (9 - 18m) deep and externally cemented, a 20in (500mm) diameter casing is drilled down to varying depths followed up by 14 - 16in (360 - 400mm) diameter casing, 400 - 1,000ft (112 - 304m) until bedrock is reached. Conventional oil and gas rigs then set up and complete the wells to the assigned depths. In Santiago, Chile, drilling contractor Andinor participates in both, large-scale exploration projects and groundwater production, working with companies such as Barrick, Codelco, Kinross, Teck, Andina Minerals, Antofagasta Minerals, Soquimich, Enami, and Pucobre, among others. Founded in 1984 by Raul Ponce Ulloa and his son, Gonzalo Ponce, in 2003 Andinor incorporated Mauricio Hernandez Castaneda. Castaneda, who is Andinor's general manager, states that the company's main development sector is mining. "We have rigs and equipment with the latest technology, in addition to human resources with recognised experience; with the capacity to execute projects with very difficult access and in harsh climate conditions. 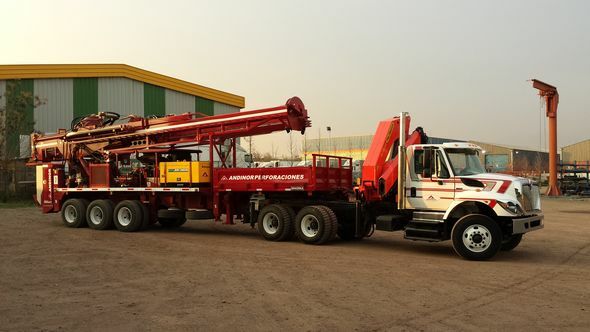 Andinor has evolved from a conventional, open hole, mud drilling operation in the 1980s, with a fleet of four rigs from different American manufactures, to now being market leaders with the latest generation Dual Rotary Foremost rigs. Using the dual rotary system, together with air reverse circulation and/or flooded reverse methods, has allowed the company to efficiently build big diameter wells. The working relationship began when Castaneda visited Foremost's facilities in Calgary in 2004 where he saw some rigs in operation and took the decision to import the first DR24 rig into Chile. Ever since then, the business he manages has not stopped growing. Working together with Foremost on new rigs developments, Andinor has, along the years, bought a total of nine Foremost DR rigs.  In Chile, the increasing development of big mining projects has led to a highly professionalised sector and the need for a correct renovation of rigs in order to satisfy the demand generated. "There are only a few Chilean companies qualified for this challenge and Andinor is one of them," says Castaneda. "Our policies on rig renovation and personnel training have allowed us to obtain and develop high complexity projects. Our results mean that important companies consider us for their investment projects, sometimes even awarding them directly to us." Talking about the benefits of using rigs from Foremost, Castaneda states: "The DR24HD has the capacity to drill while casing the hole, with two different and totally independent driving systems. The top drive and lower drive give the driller the ability to work the hole. It offers the tools to overcome all kinds of drilling problems, being able to solve them either with the drilling tools - through the top drive - and through the lower drive, rotating and pulling or driving the reaming tool, which is the casing shoe and the casing itself. 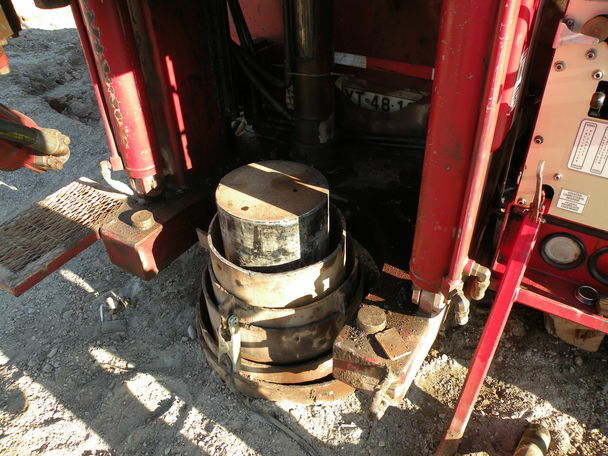 Sometimes keeping the drilling tools a few inches inside the casing or in other cases maintaining the drilling tools ahead of the casing shoe makes the rig tremendously versatile." He continues noting that "big diameter and deep holes are projects by themselves. The capacity to build a project starting at 24in and then keep going deeper by telescoping the hole to smaller diameters (down to 8in if needed), gives drillers the confidence that they are building a strong, well protected (cased) hole that will not offer surprises going deeper, with the permanent fear of completely losing the project at any time." In addition to its overburden drilling ability, the DR24HD rig used by Andinor can be configured to operate under a variety of drilling methods including mud, reverse circulation and flooded reverse circulation. The immense lower drive pullback force (117,000lbs) together with its torque (208,000lbsft), offers the capacity to extract casing simplifying the process of exposing the well screen. The dual rotary method minimises the likelihood of loss circulation and aquifer cross-contamination. Since the DR can drill without fluids, the ability to detect water in low flow formations is improved and water sampling is accurate. 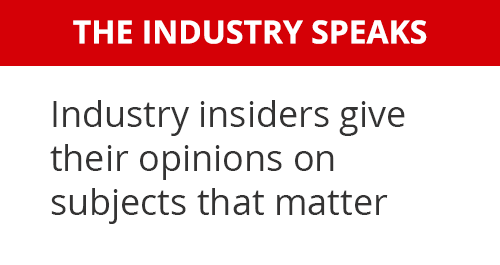 "These two factors are very well received by our customers," notes Castaneda. "Counting with a tilting top drive is another advantage," says Castaneda, "making the making of drill pipe and casing faster and saver. In addition, when the top drive is in its 90 degrees maximum tilting position, it becomes a very useful device to bring down into the well different kinds of tools. On average it takes Andinor 30 days to finish a 200m deep well, with 10in screens ready to start producing water."